While mood swings are common during menopause, these symptoms occasionally indicate a more serious condition. Mood swings that are extreme, last for more than two weeks straight, or put a woman or others at risk of harm warrant professional help. To learn more about when to seek help for mood swings, read on to discover the symptoms of bipolar disorder, clinical depression, and anxiety. Bipolar disorder, also called manic-depressive disorder, is a type of mood disorder characterized by the occurrence of one or more episodes of mania, or abnormally elevated mood, and alternating episodes of depression, or prolonged low moods. 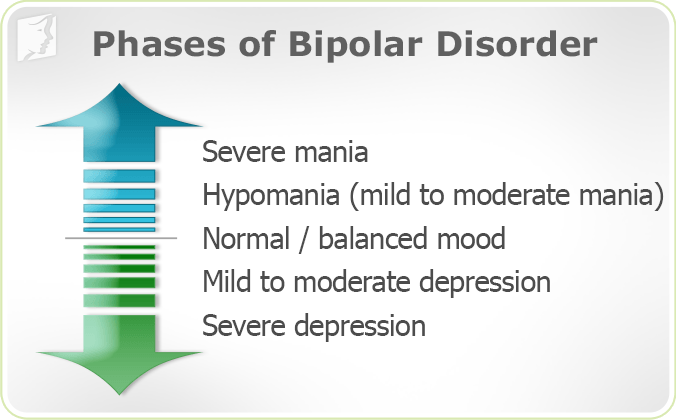 While women with normal mood swings during menopause might identify with this definition, bipolar disorder is more extreme. It is a psychological condition that requires medical treatment. Mood swings related to menopause can often be treated before they get serious enough to require professional help from a healthcare provider. When these symptoms interfere with a woman's daily life, her mood swings may be indicative of bipolar disorder. If she experiences the depressive characteristics exclusively, she may have clinical depression. Keep reading to learn more about depression, which can be triggered or worsened by menopause and may cause mood swings. Roughly 17.5 million Americans are affected by some form of depression. Depression, also referred to as major-depressive disorder, is another condition that is more serious than mood swings and often requires professional help. While sadness comes and goes naturally, clinical depression is more than a temporary state or a symptom of menopause. If a woman believes her mood swings might be symptomatic of depression, she should consult a trusted medical professional. Read on to learn about the symptoms of anxiety disorder. Mood swings, especially panic, may be indicative of anxiety. These disorders affect as many as 18% of adults in the U.S., making anxiety the most common type of mental illness. Clinical anxiety is a group of disorders that can include the ones in the box at the right. While many of these symptoms are similar to those experienced during menopausal mood swings, anxiety disorders tend to cause more damage in the long run, negatively impacting a woman's overall well-being in a number of ways if left untreated. Fortunately, various forms of support and help are available for women who experience psychological conditions more serious than mood swings. Most women who go through menopause will not develop such symptoms. If you are concerned about mood swings or other symptoms during menopause, it is wise to speak with a qualified health professional. All those who suffer with these very real conditions are deserving of care. Often, lifestyle changes and natural remedies can significantly help to treat common mood swings during menopause. 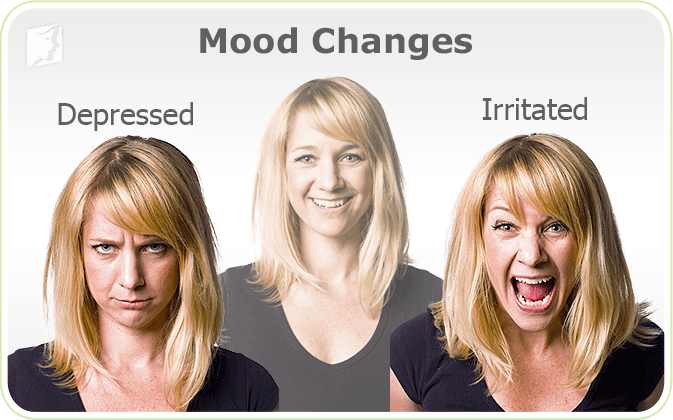 Continue on to learn more about treatments for mood swings.